Collection of case studies and notes for use in classroom at MBA-level; most of the cases are also available directly from Harvard Business School publishing. Instructor’s manual available. Covers key elements of international competition, such as theories of trade and comparative advantage, structure of global industries, roles of intermediation and alliances, political economy of trade policy, and business-government relations. Substantial revision from First Edition. 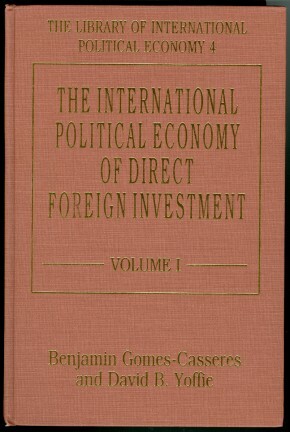 BOOK: The International Political Economy of Direct Foreign Investment, Vol. I & Vol. II.